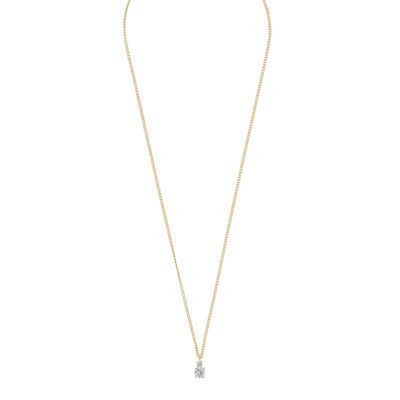 Duo Small Pendant Necklace in gold/clear. 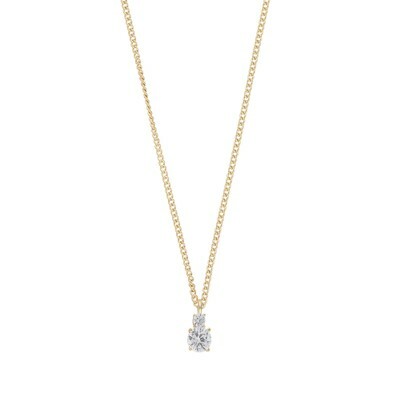 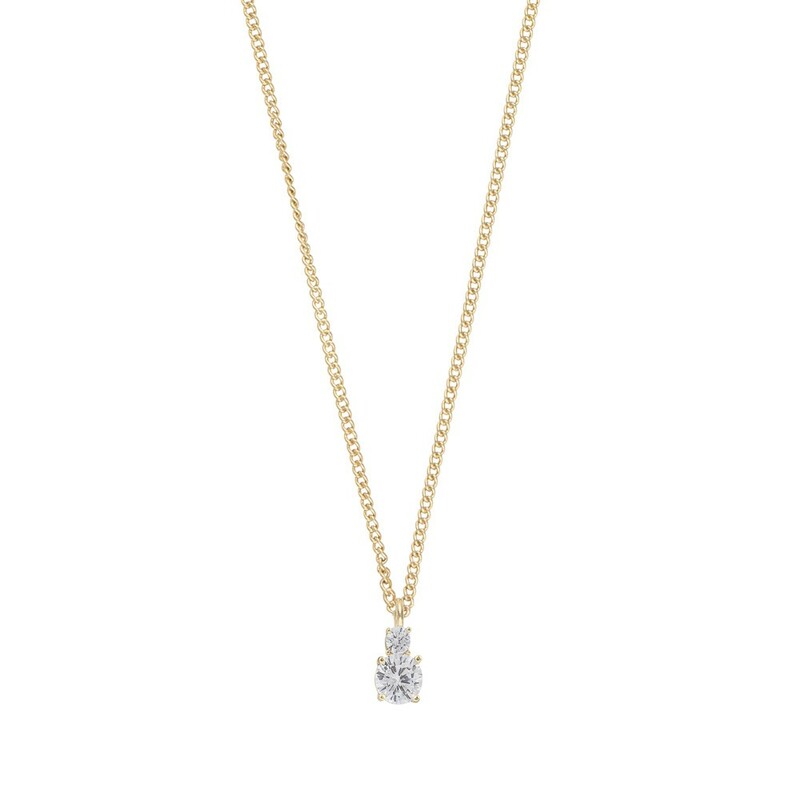 A gold chain adorned with an elegant pendant with two rhinestones. 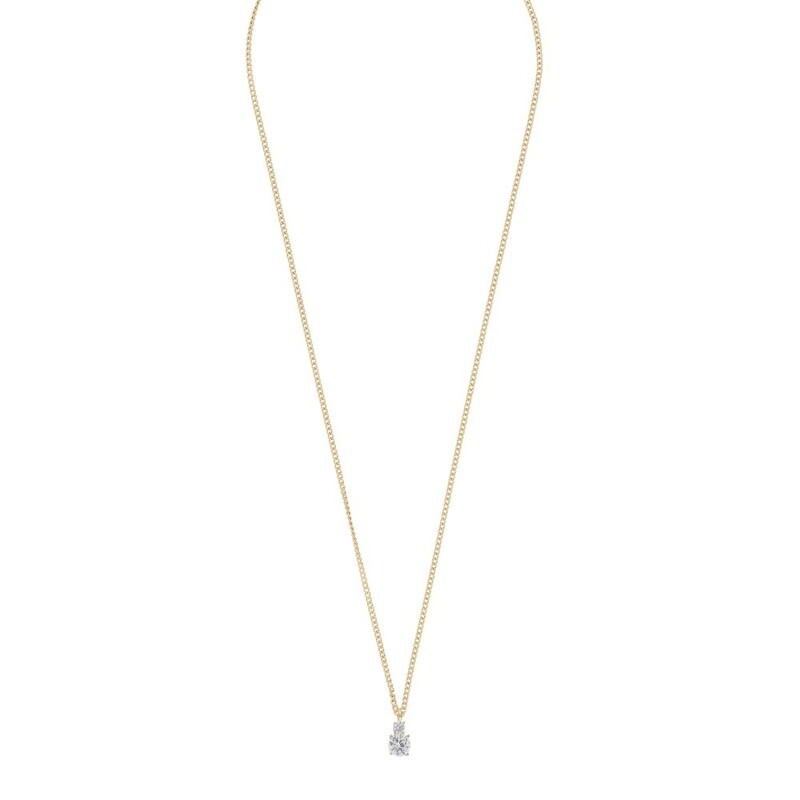 Here in the smaller pendant version, great to combine with Duo Earring.